I always seem to end up on the ABH instagram, just browsing through all the makeup looks – normally this happens when I’m in bed in the morning and trying to avid getting up. I blame Jasmine for tweeting about this offer and alerting me, but on the ABH UK website, you can get four of the single shadows for £30 and with that you get a palette to put them into to – this offer was what tempted me in the first place because it seemed too good to miss! The four shades I went for are all warm-neutrals, obviously. I went for Glisten, which is my favourite kind of champagne shade that is just so so easy to put all over the lid. Bengal I chose mostly because of the name… my Mum has a Bengal, and the coat colour is gorgeous! This shade is a light medium brown. The pigmentation isn’t amazing, but it’s good for blending out other shades. 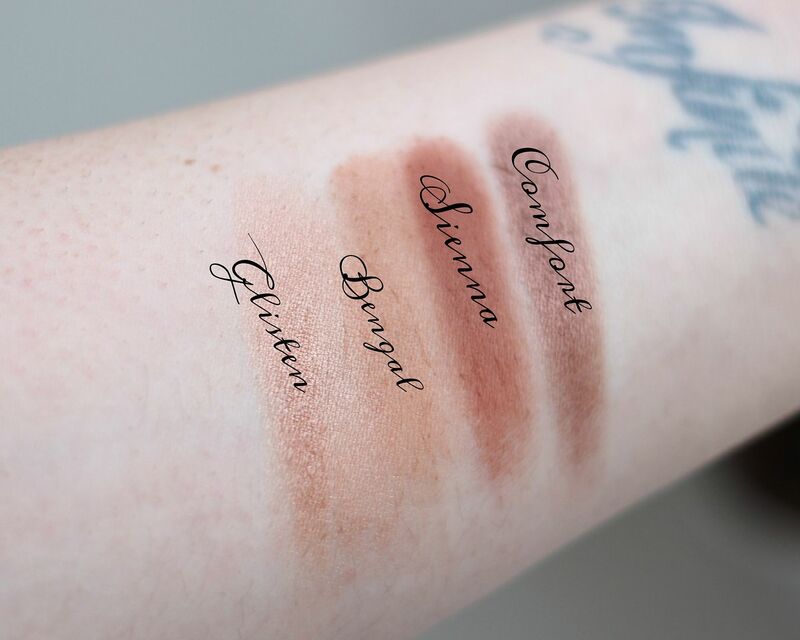 Sienna is I believe one of the more popular shades – it’s a matte burnt brown that is all kinds of perfect to use to add definition to the eyes or for smudging under the lash line. Comfort is a medium bronze that pulls quite coppery on me. It’s a little frosty and the pigmentation is incredible. Love this one. It does look darker on the lid than in the pan, as I found out one morning when doing my makeup on the train (it turned into a smokey eye day). 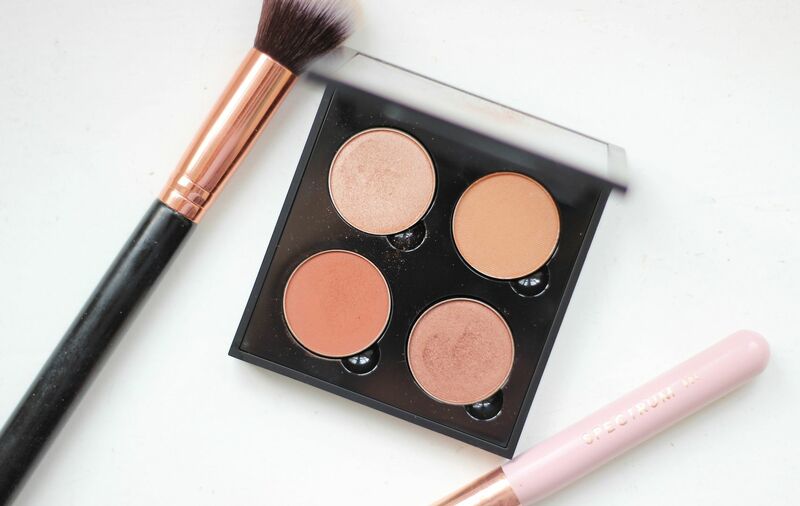 The quality overall is pigmented and blendable – the formula is a little different to other single shadows such as MAC or MUG in that I would say it’s a little dustier. It has some kick-back, but not too powdery. For £30 for a custom palette, I think it’s good and I love being able to pick my ideal shades in a travel-friendly quad.